Cisco is a large manufacturer of networking hardware, inter-network operating systems, network routers, switches and other similar devices. The actual design and layout of each product controls what types of memory can be used in the system device. This also influences what functions the memory serves in the system. Cisco has four main types of memory in its hardware. Dynamic Random Access Memory (DRAM) is designed to work with computer systems that have two device requirements. One requirement would be the job that the processor memory performs. This is an operation that allows for exclusive memory access by the CPU, which it uses when executing software running on the Cisco IOS platform. Critical data such as configuration settings or routing tables are stored in the processor memory. The second requirement would be the function that the shared memory performs. This takes any and all data that comes in and out of the system and buffers it to what is called the packet memory. It is sent there before being transmitted over the network interface. Erasable Programmable Read-Only Memory (EPROM) is a memory system often unchangeable by consumers. When the system is being manufactured, it is one of the last stages left to complete. EPROM memory is installed with two components. One is the boot loader, which allows a system that may fail to find a bootable image in the flash memory and allow an alternate boot option. The second component is a ROM monitor, which comes with a user interface and options for troubleshooting any possible failures of the ROM chips. Non-Volatile Random Access Memory (NVRAM) performs the duty of storing configuration information used by Cisco IOS during booting and start-up. The NVRAM allows the functionality of the Cisco Software Configuration Register (SCR), which sole function is allow a device to be booted and chosen from the multiple IOS images stored in flash memory. Flash memory has the widest variety of uses from all the Cisco memory types. The primary use for flash memory is to store bootable IOS images from which the system can define and use to start up. Most of the computers have installed the onboard flash memory the device uses to boot, but in some higher end systems, they can have the ability to boot up from a image stored on a removable flash memory card. Most Cisco networking hardware, with the exception of the Cisco PIX firewall series, ships with the Cisco Inter-network Operating System, or IOS. IOS hardware includes network routers, switches, and other similar devices. The basic design of most of this hardware controls the types of memory a device is equipped with, and what functions the various types of Cisco memory serve. At the hardware level, there are four main types of Cisco memory: DRAM, EPROM, NVRAM, and Cisco Flash Memory. DRAM, or Dynamic Random Access Memory caters to two main device requirements. The first of these is known as Processor Memory which is reserved for exclusive access by the CPU, which it uses when executing software running on the Cisco IOS platform. Processor Memory also stores crucial data that is used constantly, like the configuration settings in current use, and any routing tables. The second is Shared Memory, also known as I/O Memory, or Cisco Packet Memory. The function of Packet Memory is simple and self-explanatory: Data coming in and being sent out is buffered to the Packet Memory portion of the available DRAM before it is transmitted over the network interface. EPROM, or Erasable Programmable Read-Only Memory is usually referred to as a BootROM. EPROM is generally programmed at some point during the latter stages of manufacture, and cannot generally be changed by consumers. In Cisco devices, EPROM is generally loaded with two crucial firmware components. The first is a boot loader which takes over should the device fail to find a valid bootable image in Flash Memory, and provides alternate boot options. If even this failsafe should fail, the second firmware application installed on Cisco EPROM is used, the ROM Monitor. ROM Monitor has a user interface and includes options for troubleshooting failures of the ROM chips. In Cisco devices, NVRAM, or Non-Volatile Random Access Memory, stores important configuration information that is used by IOS during boot and by some programs during startup, which is stored in the Startup Configuration File. NVRAM also allows the functionality provided by the Cisco Software Configuration Register, which allows a device to be booted and selection from multiple Cisco IOS images that may be available in Flash Memory. It is sometimes called Shared Memory. Cisco Flash Memory is the most diverse of each of these types, and it comes in many forms, however, its primary use is to store a bootable Cisco IOS image from which a device can start. Most devices have onboard Flash memory from which the device boots, however, some equipment – particularly higher-end hardware like Cisco GSR routers – also have the capability to boot from an image stored on a Cisco Flash Memory card, which is removable. 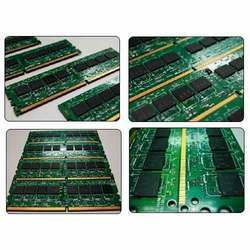 Regardless of the memory type, PC Wholesale is the authority for every type of Cisco Memory.